When I was pregnant and getting close to giving birth I started to think about getting fit. Yup the idea of no longer looking and feeling like a beached whale really appealed to me; now six weeks post-birth it still does. 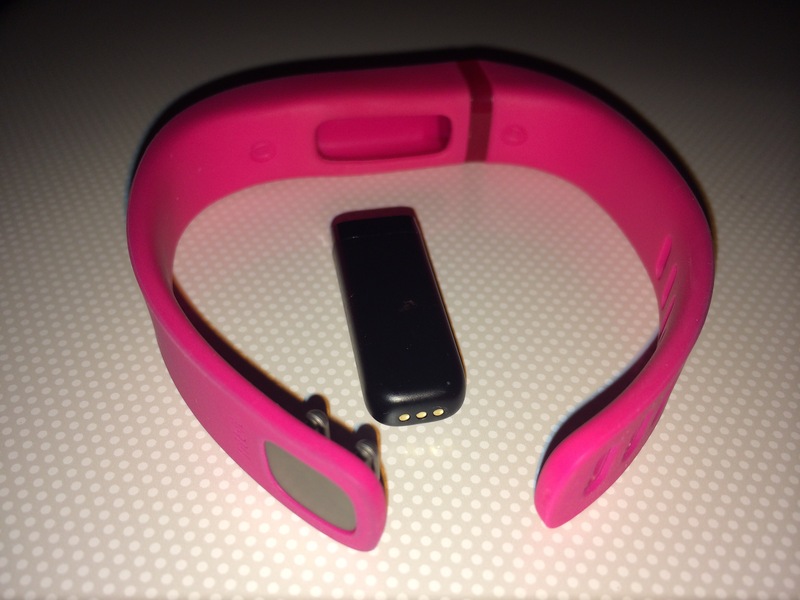 As a self confessed gadget freak getting fit is made so much more fun when you can add a gadget into the mix so when I saw the Fitbit Flex came in pink I had to have it. So I had had the Flex for a few days now and although it doesn't measure the numbers of stairs you climbed like the One does it seems to do everything else just as well. The one thing I do love is that the Flex is worn on your wrist so I no longer get up in and out of the house the morning and realise that my Fitbit is still attached to my clothes that are lying in the laundry basket bedroom floor. It also means that when I log sleep (which I think is a smidge inaccurate) that the device does not fall out of the sleep band and therefore not track what I have slept very well. Missing from the Flex that the One had was the ability to see what activity you have tracked on the device. I though I would miss this - I don't know why as I wore the One on my bra and didn't have a habit of groping inside my top to view it. Obviously, for me, this feature was not one to really worry about. Also, as things seem to always be now, there is an App for that so you can always find out how you are doing at a click of a touch screen! Of course not everyone wants to use a mobile phone to view and sync their data so there is the option to sync with your computer using a wireless dongle that is included in the pack and a website where you can analysis your statistics and view how your friends are getting on. 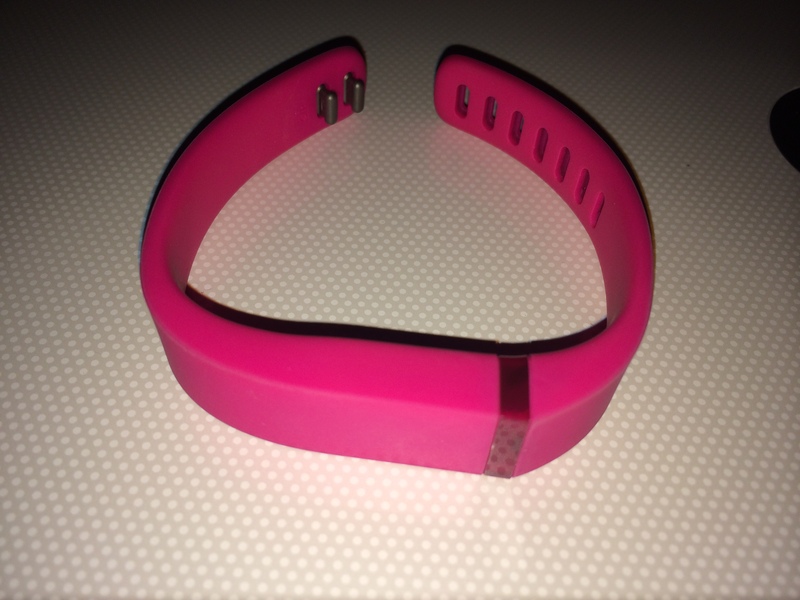 You can also get an idea on how well you are doing by double tapping the Flex to see how many of the five LED lights on the front of the band light up. Each lighty equals 20% of the goal that you have set for yourself. The Fitbit Flex consists of a strap that holds the tracker which you can then wear 24/7 to measure your steps, calories, active minutes, miles walked and sleep efficiency. Unlike many other trackers you can wear this in the shower although I don't think you can go swimming with it on. and it can be submerged up to 10 meters so you can go swimming with it. Yay. Recording your sleep is simple (if you can get it to work first time). To start the device in sleep mode you are to tap the tracker several times over a couple of seconds. Sounds simple but I find it fiddly and have received some weird looks from the hubby when I have tried, and failed, to get it to switch over to sleep mode. Eventually it will work and the LED lights on the front of the tracker with flash with two LEDS. You repeat the same trial and error process to bring it out of sleep mode. Another handy edition that is has is a silent alarm. Set the time you want to get up on your phone or computer usuing the Fitbit App and the wristband will vibrate to wake you up. It will also scare the beejingles out of you the first few times it does it until you get used to this happening. If you want to find out how you did in an activity, such as a run or in my case a wander round the shops, you can put it into sleep mode and instead of tracking your sleep it will track an activity which you can then look at when you log onto your computer. So far I am feeling more motivated to get up and out and moving. I love being able to track my activities and it certinly motivates me to get a wriggle on and to get moving. It also amazes me just how much I walk about the house. I thought I was a couch potato but really I do move about more than I thought. For £79.99 or there abouts you get a tracker, wireless dongle, two wrists bands (small and large) and the charging cable. I am hoping to rid myself of my baby belly - it's not working but not due to the Fitbit, it is helping me get off my bottom and do things. Its great for getting you up and moving. 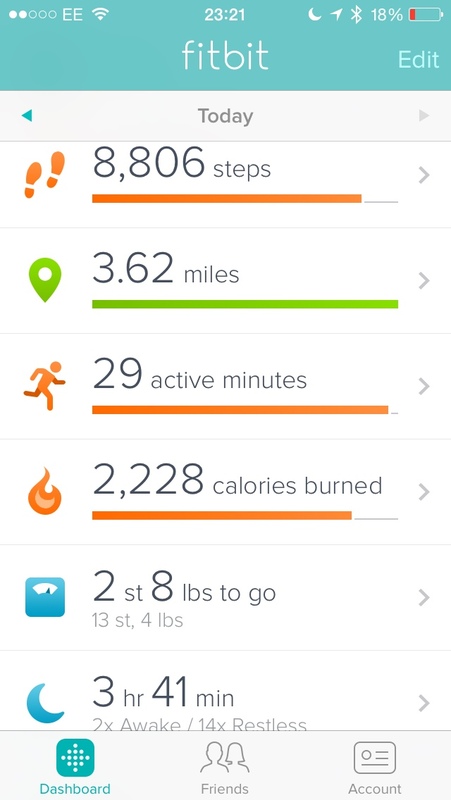 Paced the living room floor last night just before midnight so I could hit my goal.